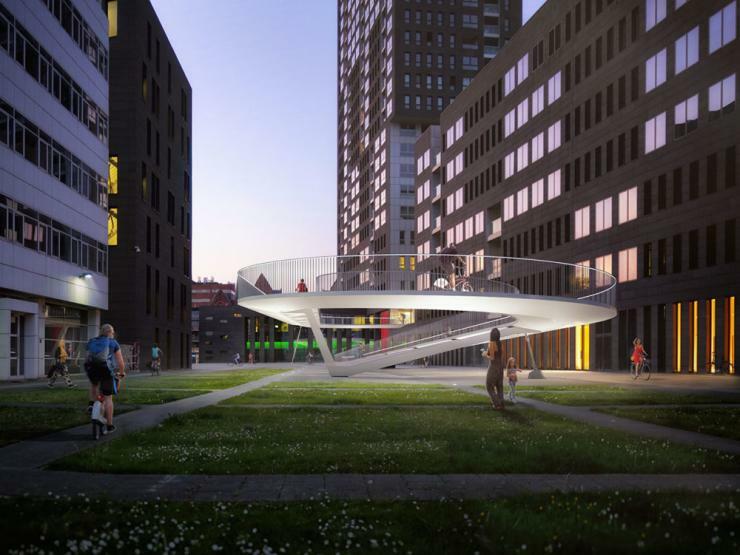 Both the new ramp and Park Bridge - which is called Parkbrug in Belgium - have been designed by Ney & Partners. Park Bridge, which carries cyclists and pedestrians, has known intense usage since its opening, said Ney & Partners. A ramp gives easy access for cyclists from the Spoor Noord Park to the bridge’s eastern side. On the western side, cyclists currently use a staircase with a bicycle conveyor belt or a lift. A new loop-shaped lightweight steel structure will be built above an underground car park. Production of the 140m-long steel ramp will get under way in the workshops of steel constructor Emergo in autumn 2019. The ramp is expected to be completed in 2020. 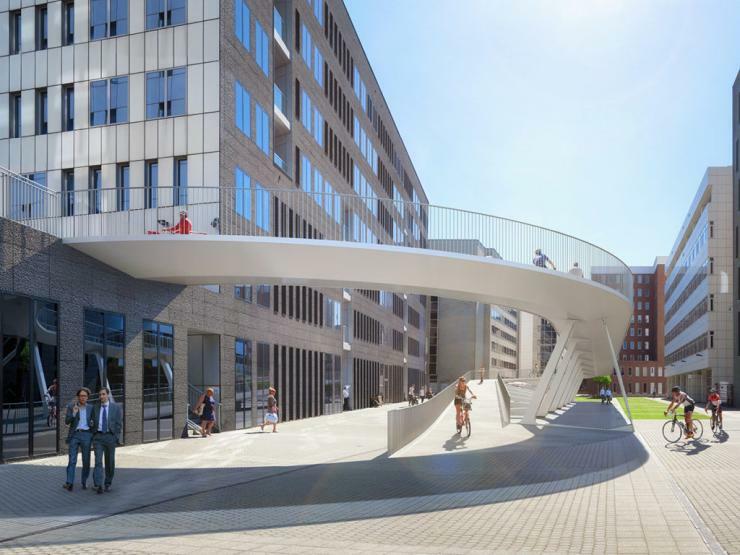 Critical constraints for the design of the new ramp have included guaranteeing a slope of maximum 4%, keeping an 8m distance to the adjacent facades, finding the widest possible radii and securing a logical connection between the bridge and the square. Steel was chosen for the main structure in order to reduce the weight on the existing underground structure and meet construction constraints. In cross section, the adjacent parts of the deck are connected by V-shaped columns. The columns stand on top of the existing columns in the underground car park. The deck is a closed triangular box girder, capable of withstanding torsion. For the handrail, a transparent solution with slim posts and a handrail in stainless steel was chosen. LED lighting is integrated into the handrail. The bottom of the steel structure will also be illuminated, allowing indirect lighting of the square.